According to a new study published in the Journal of Medicinal Chemistry, researchers have developed a new type of artificial blood vessel coating that can resist blood clot formation. The coating is a thin film of nanorods consisting of aluminum oxide blended with a urokinase-type plasminogen activator—an element that activates a clot-busting enzyme. The research team used this film to coat the inner surface of a vascular graft, which generated a steady concentration of plasmin—a blood-clot dissolving enzyme. The team concludes that their system—which is based on the “entrapment” of the drug inside the protective shell—will last significantly longer and offer an unlimited lifetime for artificial blood vessels. Chapurina Y. et al., “Synthesis of thrombolytic sol–gel coatings: toward drug-entrapped vascular grafts,” Journal of Medicinal Chemistry, doi:10.1021/acs.jmedchem.5b00654, http://pubs.acs.org/doi/abs/10.1021/acs.jmedchem.5b00654, published online July 22, 2015. 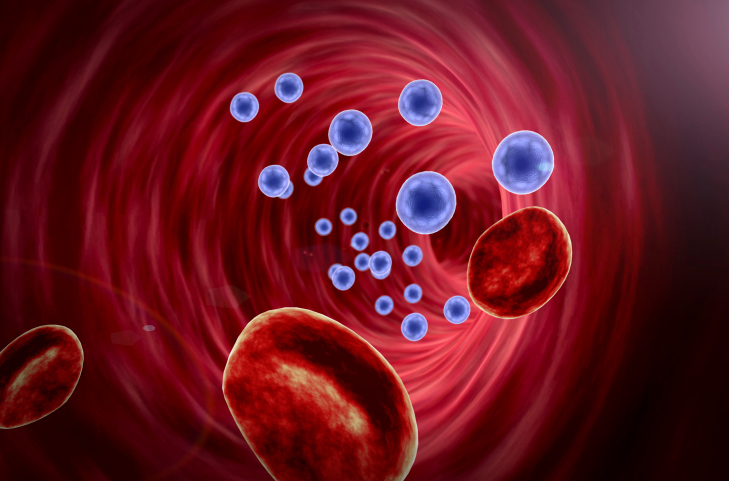 Paddock, C., “New drug-entrapped artificial blood vessels stay clot-free,” Medical News Today web site, August 4, 2015; http://www.medicalnewstoday.com/articles/297673.php.